Am I pushing my own agenda or seeking God? It is great to see the interest people have in developing and improving their prayer lives today. A great number of new books, articles, websites, apps, and Bible studies are available on the subject. I actually think the best is to be found in the older classics on prayer, but that’s me. Certainly, the most absolutely reliable writing on prayer is found in the Bible. Something to keep in mind when exploring all the new materials available today. This post is about prayer lists. I guess because we tend to like having a list and checking things off, the idea of a prayer list sounds appealing to many. This is promoted widely and is generally a good suggestion. However, too much emphasis on this particular aspect of prayer leads to some problems. Sadly, some people are finding prayer to be disappointing when prayer list praying becomes the main focus. Instead of prayer time being the center of a real relationship with God, it becomes something heavy to carry each day. I’ve noticed people that seem to be under pressure to pray about all the things on their list. Praying on behalf of others is viewed as a serious duty with the outcome of people’s lives at stake. I have heard this type of prayer very often when praying with a group. A vibrant prayer life is not about meeting some requirement but is about your relationship with God. I like to keep a list of people I am praying for but find that the best times of praying for others is when God brings a person to my mind. Amazingly when these times happen the prayer is so easy and natural because it is God who is calling me to pray not my list. How about you? What do you think about using a prayer list? 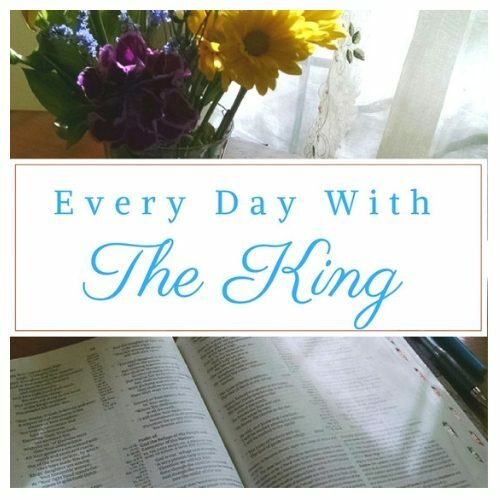 If you are not following the Every Day with the King Facebook Page you are missing out on much of the Summer of Prayer content. So for those of you who are not on Facebook here are some highlights from the Facebook page.